Long before Brian Close wore a ball on burly body, before Fred Trueman terrified opponents or Geoff Boycott ground them down, three Yorkshire natives had brought to life the northern character - the homes people dwelt in, their trials, their desires, their barely decipherable accents, their icy moors. I am in Haworth, about 30 kilometres west of Leeds. 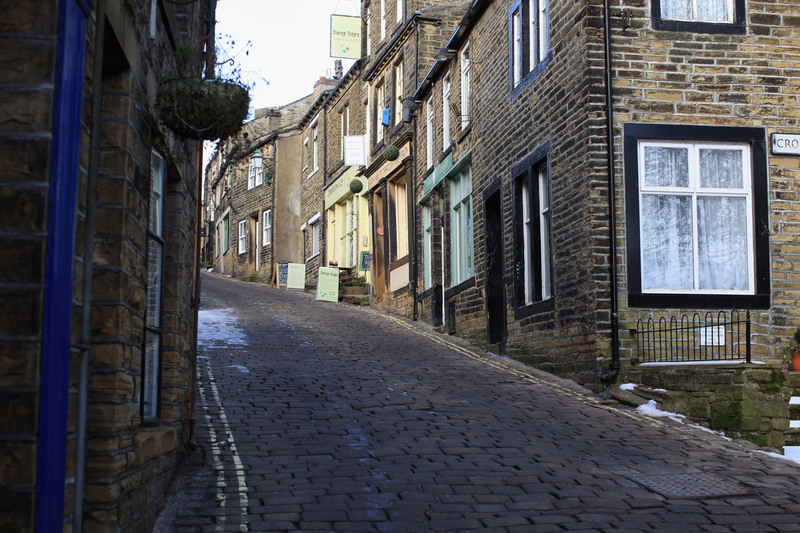 Ahead of me a cobbled street climbs past a windswept old village, beyond a stone pub that serves beef nihari, and an apothecary that sells soy candles. Atop the hill, the tower of St Michael and All Angels rises from the church where Patrick Brontë, father of three beloved authors, was reverend for 41 years. All of his family, save for Anne, are buried in the vault below the church's southeast corner. Emily died at age 30. A pregnant Charlotte at 38. Anne had gone to Scarborough in the hope the seaside could cure her tuberculosis but, of course, died, and then was buried on the coast. She was 29. Death seems to have been a constant presence here in the early 19th century. Just over the garden wall of the Brontës' parsonage, the village graveyard is a store of sad tales. "Her sun set while it was yet day," reads the headstone of one woman who died at 24. In another grave lie five from the Smith family who bit the dust at ages five, one, 23, 20 and 23. Did anyone survive to middle age in this place? You can almost imagine the villagers at yet another funeral, mechanically withdrawing their diaries to fill up the week, because while the eulogy was being delivered, three more people have fallen over, dead. The Brontës' two-storey brick-and-shale home squats in sight of the church tower and has become a museum. With a pale blue hallway and cosy rooms with white distemper walls, it is more Thrushcross Grange than Wuthering Heights. In the sitting room, the table on which Emily produced one of the great works of English literature sits across from the black sofa on which she drew her final breath. Above this is the studio where supposedly the ablest but drunkest of the Brontë clan - brother Branwell - made a modest living painting portraits. 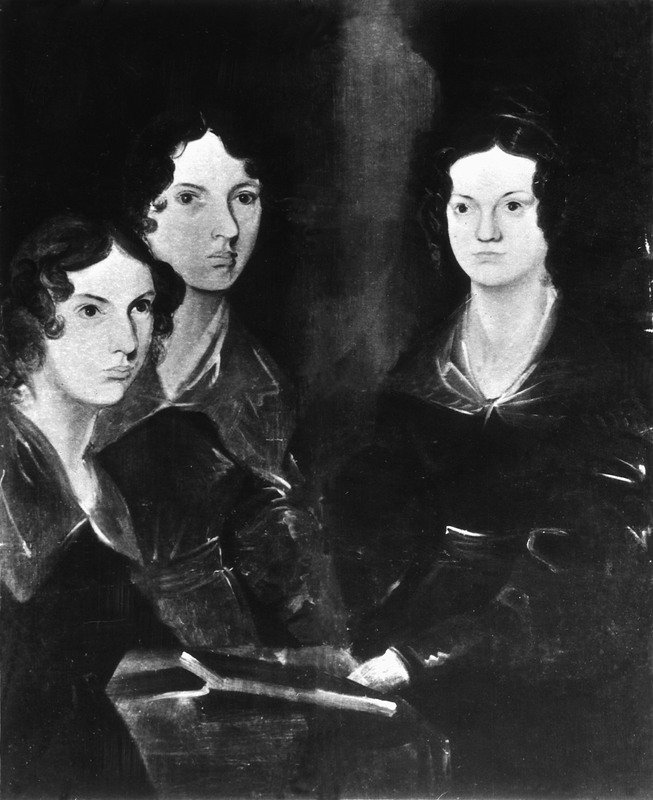 It was death, in a sense, that made the Brontë sisters. Their mother Maria died of ovarian cancer less than two years after Anne was born. Their two oldest siblings then fatally contracted typhoid and tuberculosis at school. Desperate not to see his brood dwindle further, Patrick began to teach Charlotte, Emily, Anne and Branwell at home. It was in the front study with the dark fireplace and the upright piano that the sisters dreamt up the stories that would one day bleed into their novels. In daytime rambles on the sloping moors, formed the worlds of their books: the spindly tussock, the forbidding bogs, the wind howling through thorns. 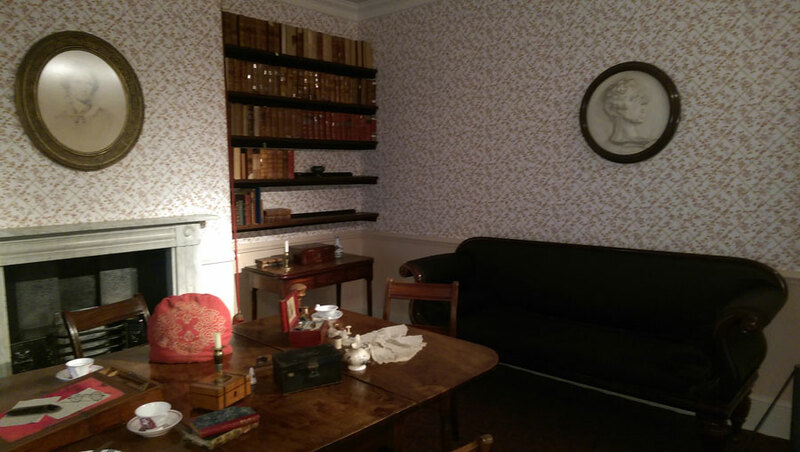 Upstairs there are more intimate glimpses into the Brontës' lives. On one side of what was Charlotte's room are the cloth boots she wore as a baby. On the other, the veil she wore at her wedding, less than a year before her death. There are letters written in stylish hands to friends, and cutters that kept their quills in working order. Towards the back of the museum a display explains the Brontës' influence on literature, and outside in the parking lot, there are even modern-day Brontë villains in operation. Wardens from a private company gleefully clamp cars and issue fines to any visitors even 30 seconds over their allowance, like modern-day Josephs from Wuthering Heights, clutching parking codes like King James Bibles. It was cloudy when I arrived at Haworth but, while I was in the parsonage, the wind had whipped up around the hills. The icy rain that lovesick 18th-century characters loved to take long, sobbing walks in, was coming down on the moors. I thought about taking a stroll in the damp countryside myself, just to get the full Brontë experience. But as I was unlikely to be rescued by a handsome, moneyed gentleman, then nursed slowly to health at his mansion while he wormed his way into my tender heart, I just walked down the hill and took the bus back to Keighley, then the train back to Leeds.